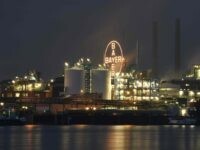 Some 6,666 U.S workers could find themselves out of work, thanks to Germany’s Bayer agreeing to buy Monsanto, the American high-tech genetically modified seed and fertilizer company, for $66 billion. 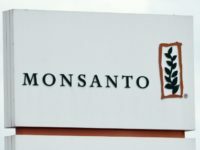 FRANKFURT, Germany (AP) — After months of courtship, German drug and farm chemical maker Bayer AG has finally reached an agreement to buy U.S. seed and weedkiller company Monsanto, in a deal that is valued at $66 billion and which will keep the merged entity’s seed business in Monsanto’s home base of St. Louis. 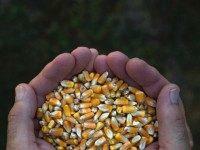 A case of industrial espionage linked to China concluded with prison time, property forfeiture, and possible deportation on Wednesday, as 46-year-old Mo Hailong—a Chinese citizen described as a “permanent resident of the United States” by the New York Times—pled guilty to charges of stealing high-tech seed corn from American companies. 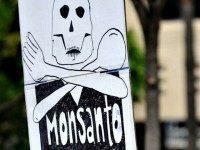 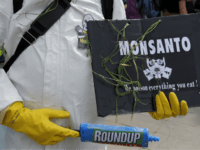 California’s office of Environmental Protection issued a “notice of intent” to label Monsanto’s highly effective ‘Roundup’ weed herbicide’s key ingredient glyphosate as a cancer causing compound.